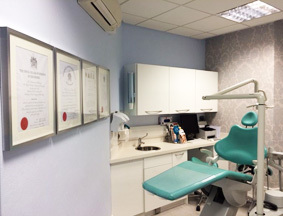 All the orthodontists in The Orthodontic Clinic are specialists, having completed postgraduate specialist training in Orthodontics involving a Master of Science degree in Orthodontics, on top of a 5 year Dentistry degree. In the UK, the completion of specialist training is marked by the Membership in Orthodontic examination, accredited by the Royal Colleges of Surgeons. In addition, Dr Lisa Currie has further trained to the level of Consultant Orthodontist, which involves further training within hospital, beyond specialist level in Orthodontics. She has lectured widely on Orthodontic subjects and published in national and international journals. As part of their training, our orthodontists have been exposed to the full range of orthodontic techniques on a complete spectrum of patients. Through further courses and training, their experience has widened to include lingual appliances, Invisalign and self-ligating brackets. Lisa Currie is our Clinical Director. She gained her Bachelor of Dental Surgery with Honours at Dundee Dental School in 1996. After completing her Vocational Dental Training in the South-East of Scotland, and various hospital posts, she joined the Orthodontic Postgraduate/SpR Training Programme at Edinburgh Dental Institute/ Victoria Hospital, Kirkcaldy. She was awarded a Master of Science Degree in Orthodontics, from the University of Edinburgh for her research in sleep apnoea. Having completed her specialist training, she gained the Membership in Orthodontics from the Royal College of Surgeons of Edinburgh. This was followed by entry onto the Specialist list in Orthodontics of the General Dental Council in 2003. 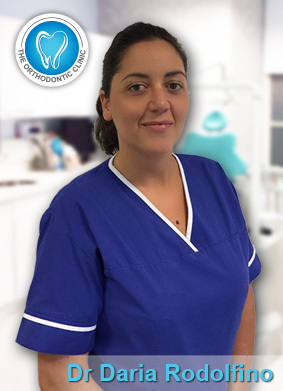 Lisa then worked as a Fixed Term Training Appointment (FTTA) at Birmingham Dental Hospital and University of North Staffordshire Hospital, Stoke on Trent. During this time she gained the Intercollegiate Specialty Fellowship in Orthodontics of the Royal College and accreditation as a Consultant Orthodontist. She took up the position of Consultant Orthodontist at Borders General Hospital/ Edinburgh Dental Institute in 2006. She was Audit Lead in the department and Educational Supervisor for the Orthodontic Postgraduate Programme. 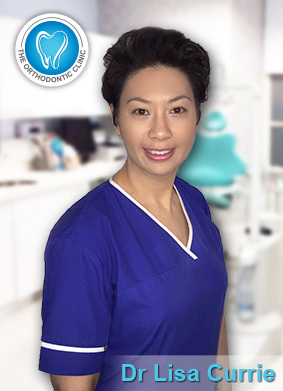 She has lectured extensively and been very active in training and examining at all levels, including of general dentists, undergraduate and postgraduate dental students, as well as dental care professionals. Lisa has also been, and continues to be involved in the training of Orthodontic Nurses and Orthodontic Therapists. Lisa also has a Postgraduate Certificate in Medical Education from Warwick University. She is an Invisalign, Incognito and Somnowell Certified Doctor (Platinum Practitioner) and has Masters Research Degree in Sleep Apnoea. Daria Rodolfino is our specialist orthodontist. She gained her Bachelor of Dental Surgery with Honours at University of Chieti, Italy in 2009. She completed her Post-graduate Course in Orthodontics in 2012. This was followed by entry onto the Specialist list in Orthodontics of the General Dental Council in 2013. Between 2012 and 2013, Daria completed her scholarship entitled "Valuation of body response to emotional stimuli analyzed by posture-stabilometric exam, electrocardiography and thermography" at University of Chieti, Italy in 2009. Daria is co-author of several scientific articles published on International Journals with interest in Orthodontics. She is an Invisalign, Incognito and Somnowell Certified Doctor.